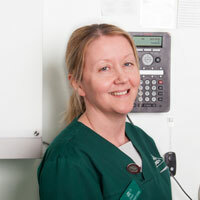 Gail is our Head Veterinary Nurse. She started working with us in 2002 and now works part time since having a little girl. She has a Jack Russell called Stella who she likes spending her spare time with.